Aurelie M., 11/07/05: Sunday morning, around 9.30am, as I was walking by the Playhouse to Prince Street I saw the guys from the venue who were putting the letters on for the tonight show :)[singlepic=716,450,156,center]As my hotel room was 10 minutes away from the Playhouse, I could come quietly by feet from the room until the venue. Enjoying the fresh wet air of Edinburgh, I arrived at 7pm. As all (or almost) all tickets sold on the European tour are reserved seats, it’s useless to come in advance, play the courageous and stand in the cold, seats are booked! There was already lots of people outside and inside.I first discover the mershandising set: this year they decided to be generous in comparison with the Let It Rain tour where I didn’t like t-shirts they made. This time they have 4 different t-shirts (a grey one; a black one with the Where You Live cover front and US + European tour dates back; cream long sleeves t-shirt with the Where You Live photo in red, and a skinny white one for girls with one of the photos from the booklet on it), a grey hoodie, a 9 buttons set with the photos of the WYL booklet and a keychain. Prices are huge (i think) but in Pounds I don’t know exactly, I’ll be waiting for continental shows to realise how expensive it is. No poster this time and no official merch guy, those who are selling are local crew ones. Ben Taylor’s set begins at 8pm, first time I hear him and I instantly love his songs. He wears a t-shirt from Urban Outfitters (the Flash one, nice taste Ben). The audience is really respectful for him as an opening act, he appreciates it. He plays his role as an opener, asking the audience to applause in advance for Tracy and telling people that she got a fantastic show for us. Among the songs he plays there’s Digest (dedicated to his best friend John Forté injustilly imprisonned for a crime he didn’t commit – if you don’t know John Forte be sure to check him out, his debut album is really great), Nothing I Can Do (he wrote for his mother), Boyfriend (one of his favorite songs, and from his “buddy” David Saw – the venue is really conquested with this song), You Must’ve Fallen… And on and on, I’ll buy his CD for sure, for the same price (£12) you can have it signed and he assures you that signed with a really cool signature, the cd better sounds! When Ben leave’s the stage, there’s a break of 30 minutes, not really to set up the stage for Tracy and band, because everything is already set up, only missing her mic (which only take 2 minutes to get it ready) and setlists. No white towels, no tea mug as she used to get sip it between each songs on previous tours. From Where You Live and other than Change, she sings Don’t Dwell, Be and Be Not Afraid (i’m quite astonished by the version they play, so different from the album version), America (with Tracy on hand drums and that enormous shadow reflected on the wall behind her everyone talked about). Talk To You sounded like on the album, Joe on keyboards and Tracy being the only one to play the guitar. Another Sun is really the song I appreciated the most, because on it we can hear the new Tracy, that one who is free from herself, who sounds electro at some point, rock, wild, she plays a riff I never heard before and keeps on playing and playing it. This is the song which last more than any other one and makes me happy to be in the audience. During the show, a girl requested Subcity, several times, even began singing it twice so Tracy came to talk to Quinn and Joe and announced that they would play a requested song! She decided to play Subcity, she even makes a joke about the harmonica that looks like a dental thing that teens were wearing in the past (and they still do!). As encore songs, Tracy invited Ben Taylor to come on stage and they sang Lean On Me! I thought it would be Knocking On Heaven’s Door but the surprise was even bigger, Tracy playing on a three-string strumstick, Ben on the guitar and they rocked the place with it! Give Me One Reason closed the show, still played like we all know and then faster, burning all the energy left until this moment. I appreciated the band involvment, their pleasure in playing and the respectful audience. The local crew was a bit boring jumping on anyone who was trying to take a photo (but why putting the flash on as it doesnt give anything but flashing the hair of those who are at the row before them??). Once out of the venue, we saw a guy who was selling (and selling well!) some fake t-shirts for £5, different colors available (brown, army, red, white/pink…), lots of sizes and colors! I came back to the hotel as slow as possible, not feeling like finding back the hotel after such a show. A tea before the night which was going to be short. The morning after I have to get up at 6.30am to fly for Manchester! Emma Cunningham: Having already bought tickets to see a certain young lady perform in Edinburgh, one Ms. KT Tunstall, I heard a couple of months later that Tracy Chapman was also playing that night at Edinburgh’s prime theatre; The Playhouse, an old beautiful theatre that has hosted many a talented artist. I immediately sold my tickets for KT Tunstall and without a second thought bought some tickets to see Tracy instead. Having just got home from her gig, which was in short, amazing, it certainly was not a mistake.The supporting act, Ben Taylor was incredible, a real talent. Beautiful guitar playing, amazing voice and some real heart felt songs. At one point he told a story about his friend who has been sentenced to jail for another ten years, for a crime he did not commit. He dedicated, and wrote a song for him, which he also performed. Another thing, he even signed autographs for the folks who managed to scramble to the desk in the show’s interval. When the CDs ran out, I heard him shout, “ITunes.com” as he laughed. That’s one CD I will definitely be putting on my Christmas card list.As Tracy opened, the crowd went wild. Some just sat with big grins on their faces, other started shouting “Tracy, Tracy, we love you” over and over. The atmosphere was really great, there was a real feeling, at least from my perspective, that everyone seemed to be there because they really, really wanted to see Tracy and that I almost felt honoured to be sharing this moment with so many other people. To be honest, I can’t really recall the set-list; I was too engrossed in Tracy, loving every moment of the entire experience.Playing just under an hour and a half, I didn’t think I could take anymore, it was just too good. Quite shocked about the amount of older songs that she sang, but I was definitely glad of it. Songs such as ‘Fast car’, ‘Revolution’, ‘Baby can I hold you’, ‘For my lover’, ‘Say hallelujah’ and ‘Behind the wall’, where definite crowd pleasers. The sound in the theatre was crystal clear and not in an over-powering way at you all too often experience at live shows; the sound was beautiful. I’ve always felt that Tracy’s CDs, beautiful as they are, were always so under-stated, but the sound- the voice, the guitar and the drums live was incredible. Tracy sounded completely beautiful live, better than the CD’s even and didn’t drop a note, not once. Her newer songs, taken of her album ‘Where you live’ were also met with fierce applause and performed extremely well. One thing that I really had to note about this gig and Tracy herself, was the sheer humility that she displayed, she was almost bashful as a few over-eager fans got a little bit overwhelmed and started shouting, “Tracy we love you, Scotland loves you”. Humility like that is too often misplaced in the crazy world of show-business, and it was very endearing to see this from such a well-established artist such as Tracy Chapman.The time flew by and all too quickly it was time for the encore, which didn’t disappoint. Tracy was joined on stage by Ben Taylor, where they performed ‘Lean on me’, much to the joy of the crowd who were, by now, mostly standing and singing along. A song or two later, it was all over and I was left to walk home in the freezing cold, but somehow it didn’t really matter. I’d just seen Tracy Chapman live, and her performance and energy had left me with a lovely warm feeling inside. If you haven’t seen Tracy live, or you are thinking about attending one of her upcoming European tours, I urge you to go see her, she doesn’t disappoint. Karen Gordon: Row D enabled a magic view and the performance was brilliant. For the life of me I can’t remember the play list other than it was a balanced mix of old and new (in saying that I always feel that Matters of the Heart album gets very little attention.) A particular moment was when she diverted from the planned songs and sang (after a request) Subcity !It is clear that Edinburgh loved her (just as much and indeed if not more than Glasgow did two years ago) and I would happily chuck my partner for her !There was strict enforcing of no photography (camera’s or phones). One guy in particular was a tad heavy handed and it was the only off note all night. SHE doesn’t follow fashion and she’s never followed trends. She sings with universal human concern, and touches the heart as well as the head. She can also sell out the Playhouse with consummate ease. Could Tracy Chapman, the female Bob Dylan of our times, be any less pop? With minimalist backing – percussion, an additional guitarist, sombre lighting – the latest Chapman incarnation was as magically incendiary and depressing as ever. In fact, 17 years since she first penetrated the mainstream consciousness, she’s still doing the same thing: strapping on a guitar, pulling up to the mic and singing some songs. The audience loved it. Some screamed. A few cried. When she played her biggest hit (Fast Car) a third of the way through, you’d have been forgiven for thinking she’d peaked too early. Far from it. It paled in comparison to new material such as Talk To You, a soul-folk cut that echoed Joni Mitchell circa 1974, and America, a brooding rant on appropriation in America since Columbus. And how many other transatlantic songwriters get away with commenting on the grandeur of Edinburgh Castle without ensuring a few groans around the room? In a world of charlatans, Tracy Chapman is the real deal, baby. Playing in near darkness, Chapman’s faultless voice and guitar playing were truly superb. Opener Why had the crowd on their feet immediately. The power and beauty of her voice shone on an acappella Behind The Wall, while crowd favourites Fast Car, Revolution and Lean On Me were unbelievably good live and you could be mistaken for thinking you were listening to the CD. Chapman played electric guitar for new song America, which highlighted the quality of her latest material. Highlight was final song Give Me One Reason, where, back on the electric guitar, she sent her appreciative fans home knowing they had witnessed an awe-inspiring gig. Tracy Chapman will tour Europe in November as part of the international Where You Live Tour in support of her new album Where You Live, which will be released on September 12 by Elektra Records. The tour will showcase the talents of a truly individual voice on the modern musical landscape. 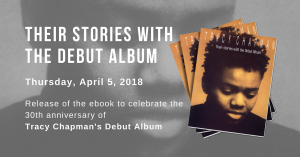 An eloquent teller of stories that are at once intimate and universal, Tracy Chapman has created a body of work that has been as consistently compelling as it is honest and uncompromising. Where You Live is Tracy Chapman’s seventh studio album. The set was co-produced by Chapman and Tchad Blake, who has lent his innovative production/mixing talent to recordings by an eclectic array of artists – among them Peter Gabriel, Pearl Jam, Tom Waits, Bonnie Raitt, Elvis Costello, Los Lobos, Randy Newman, Richard Thompson, Suzanne Vega, and others. Chapman describes the songs on the album as being reflections about home, place, love, and memory. Joining Tracy in the studio were guitarist Joe Gore (Tom Waits, PJ Harvey, Eels), drummer/percussionist Quinn (Paula Cole, Belinda Carlisle, Patti LaBelle, Vesta Williams), with guest appearances by musician/producer Mitchell Froom (Blake’s frequent studio partner) and Chili Peppers bassist Flea, who plays on the album’s first single, ‘Change’. Since her breakthrough performance at Nelson Mandela’s 70th birthday concert in London in 1988, Tracy has appeared frequently in support of social and humanitarian causes, including Amnesty International’s Human Rights Now! Tour, the annual Bridge School benefit concerts, the Nelson Mandela Free South Africa Concert, Farm Aid, Tibetan Freedom Festival, Vote for Change, San Francisco AIDS Foundation, and many others. Most recently Tracy did a US election-season tour to benefit Driving Votes, a grassroots voter-registration campaign. Tracy’s new album marks the latest stop in a musical journey that began with her self-titled debut, released in 1988. The multi-platinum Tracy Chapman earned three Grammy Awards, and yielded the classic single, ‘Fast Car’. Tracy Chapman was followed by Crossroads (1989), Matters Of The Heart (1992), and New Beginning (1995). The latter proved to be another landmark for Chapman, going multi-platinum and earning Tracy her fourth Grammy Award, for the platinum single, ‘Give Me One Reason’. Entering a new musical phase in the new millennium, Tracy released the aptly titled Telling Stories in 2000, and Let It Rain in 2002. A compilation of Chapman’s work, simply called Collection, was released internationally in 2001. Alongside her Grammy Awards, Tracy has earned an American Music Award, a BRIT Award, three SKC Boston Music Awards, and four Bammy Awards. The star due to unveil a world tour shortly. Tracy Chapman is to release her seventh studio album ‘Where You Live’ mid-September, with a series of UK dates to follow, soundgenerator can reveal. The singer/songwriter last played the UK in March 2003 [review: Tracy Chapman/Jason Mraz – Royal Albert Hall], and will return for two dates (with more likely to be confirmed) mid-November to showcase tracks from the star-studded new album. Set for release September 13, Chapman’s first record in three years was co-produced by Tchad Blake (Phish, Bonnie Raitt) and the singer/songwriter herself. Guest musicians present include Red Hot Chili Peppers’ Flea on bass, Joe Gore (PJ Harvey, Tom Waits) on guitar, Mitchell Froom (Paul McCartney, Sheryl Crow) on keyboards and Quinn (Belinda Carlisle, Paula Cole) on drums.